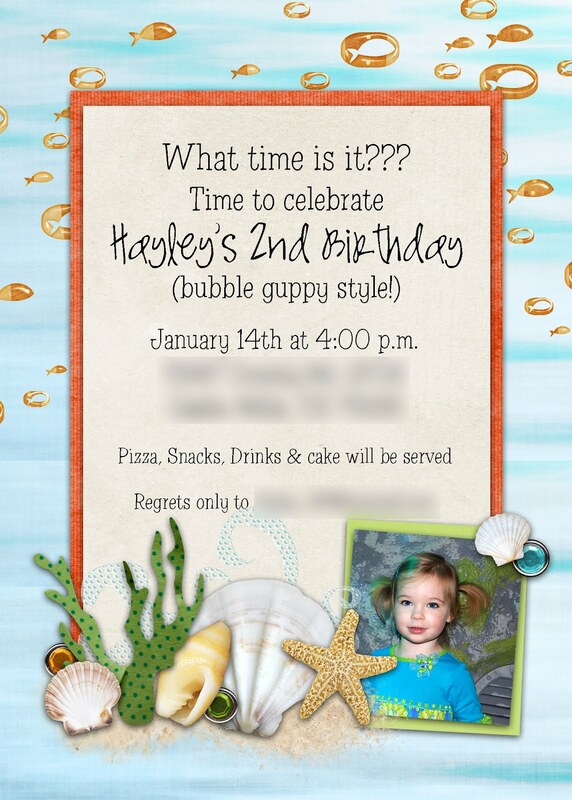 When Hayley's mom contacted me about doing a "Bubble Guppy" invitation, honestly, I had no idea what she was talking about. hahaha. I'd heard of the bubble guppies, but had never seen it... but lucky for me she didn't want it overly "guppy" more just under the sea.